In this final leg of the Global Spotlight blog series, we’ll be featuring three different types of seafood. Today we focus on clams. The word “clam” itself can be traced back past Middle English and Old German to its earliest roots in Scotland. You may recall that our series visited Scotland earlier this year; the Scottish isles are the source of Crown Prince Brisling Sardines. But unlike Scotland, where the water is cool most of the year (ranging 42-64 degrees Fahrenheit near the surface), the ocean surrounding the Thai peninsula is quite warm (just this week it registered 84 degrees Fahrenheit). Clams are most plentiful a short distance away from shore and are caught using underwater raking devices that are attached to nets. The fishing areas are monitored and certified by the Thai Fisheries Department to ensure correct ocean management and stable populations at all levels of the food chain. 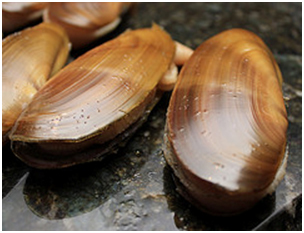 Our clams are cooked at the packing facility, and then the meat is picked from the shell. The clams are cleaned twice to ensure purity, and sorted before they are canned and shipped to the U.S. for distribution to your local grocery store. 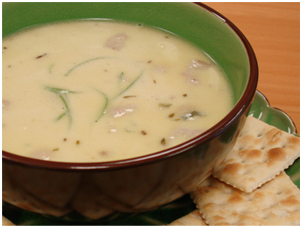 Clam Chowder: Whether cheesy or the classic New England variety, this creamy staple can’t be beat and is delicious year-round. Cajun Clam Fritters: Crispy with just the right kick, these make great appetizers and game-day finger food. Seafood Stuffed Squid: Feeling elegant? Pair clams and squid with this savory sauce for a delicious entrée. Check out more recipes on our website, CrownPrince.com/seafood-recipes.htm, or send us a note on Facebook to share your own favorite clam recipes.